Having a good nights’ sleep is not only very enjoyable but also essential to our well being and health. 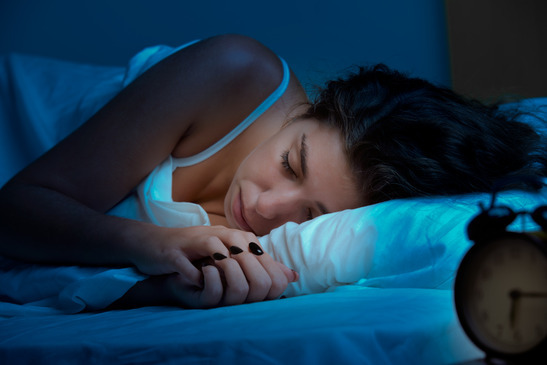 Lack of sleep can drive up your weight, impair mental alertness and deprive the body of all the overnight repairs that take place at a cellular level. I know that when I’m tired I feel emotional, am less able to handle things and start reaching for the sugar and caffeine. People are getting less and less sleep due to increasingly busy lives and stress. And yet most of us have developed patterns of behaviour around bedtime that is undermining our ability to sleep. Here, life coach and mindfulness meditation teacher Ora Nadrich, shows us how to get our sleep back on track again. What they tell me is exactly what I expect to hear, not because I know their sleep patterns so well, but because most people do the same thing when they can’t sleep; they surrender to doing things that are actually anti-sleep, and what that means is they will resort to stimulating the mind rather than calming it, which is what is needed for sleep. 1. Don’t drink coffee or any highly caffeinated drinks after 5:00pm. 2. Don’t drink excessive alcohol. It reduces REM sleep. 3. Don’t eat sugar. It’s a stimulant. 4. Don’t eat a heavy meal after 7:00. Your digestive system should be resting until 5:am. 5. Don’t watch TV with disturbing subject matter or violence. That includes the 11:00 news. 6. Don’t use your computer or any other devices. The backlit screen affects melatonin levels. 7. Don’t go to sleep angry. Kissing and making up is a good idea before you go to bed. Repeat these steps until you fall asleep, and if waking up in the middle of the night is your problem, don’t get out of bed, but instead do this meditation. The minute you get out of bed, or go on your computer or devices, you’re telling yourself, “I’m awake,” which is sending a message to your subconscious that you’ve accepted it. Instead, stay in bed, and tell yourself, “I will fall asleep again,” which is telling your subconscious what your clear intention is. You’re in charge of where you want your mind to go, so if it’s staying awake, you will allow your mind to be active, and if it’s going to sleep, you will direct your mind towards calming down and relaxing. When you surrender to sleep, you allow for a blissful state of mind where thoughts no longer control you, and you are free of the strains and stresses of daily life. Don’t you want to treat yourself to that? I tried this a couple of weeks ago when I couldn’t switch off and fall asleep. Was a Sunday night, which is typically the night I can’t/don’t want to sleep. Think it had gotten to almost 3 and knowing I had to be up in very few hours I was becoming more and more frustrated. I remembered this article, only problem being I did have to switch my phone back on to re-read it in order to follow Ora’s steps! Have to say though, it must have worked because I remembered nothing after that! Voilà!